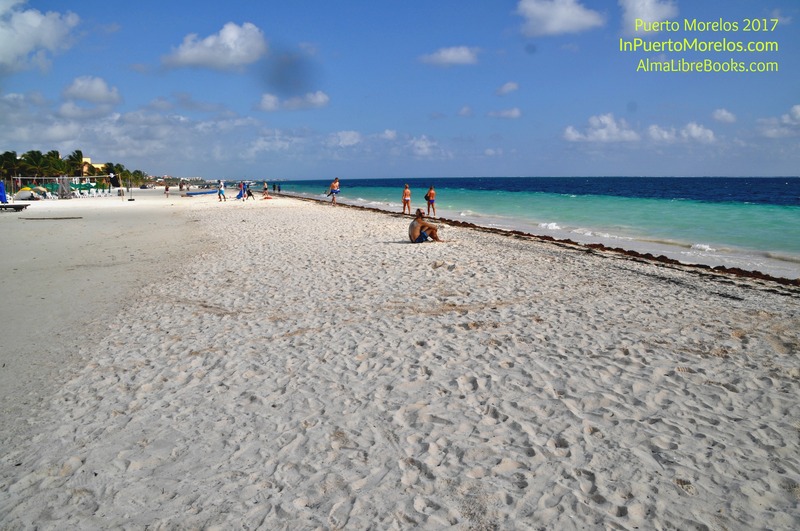 Spend 20 seconds on the beach with us in Puerto Morelos! 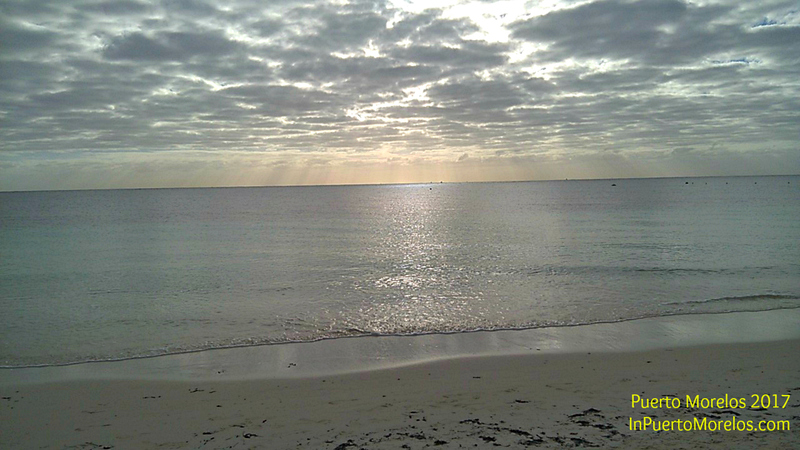 We picked a great morning for a beach walk in Puerto Morelos. 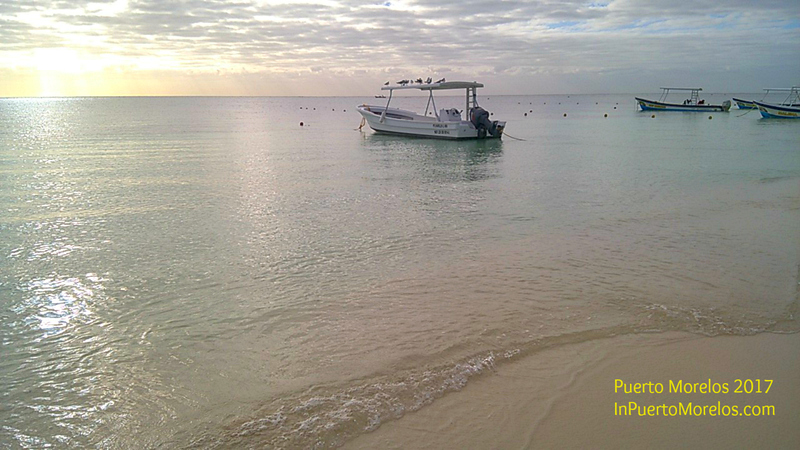 The beach is absolutely perfect, and check out the Caribbean! It is so calm it looks like a lake. You can’t even tell where the water breaks on the reef. As an added bonus, the visibility is absolutely clear. 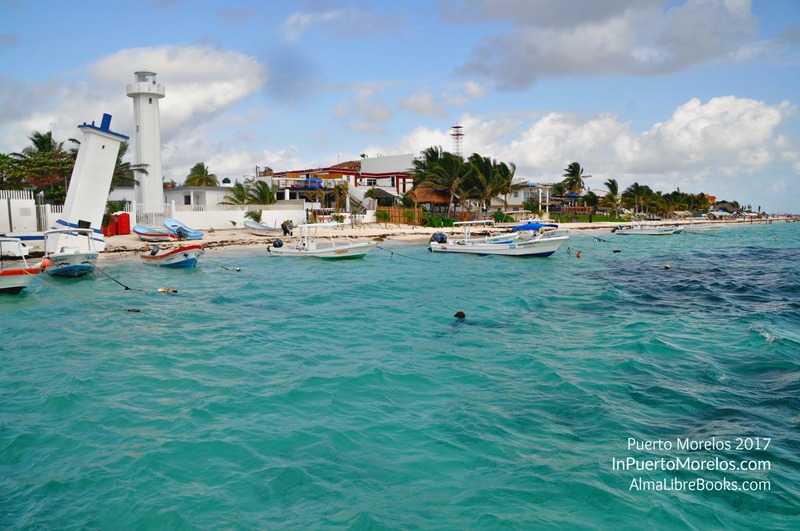 Time to grab the snorkel gear and say Hola to the underwater citizens of Puerto Morelos! Come see it for yourself! 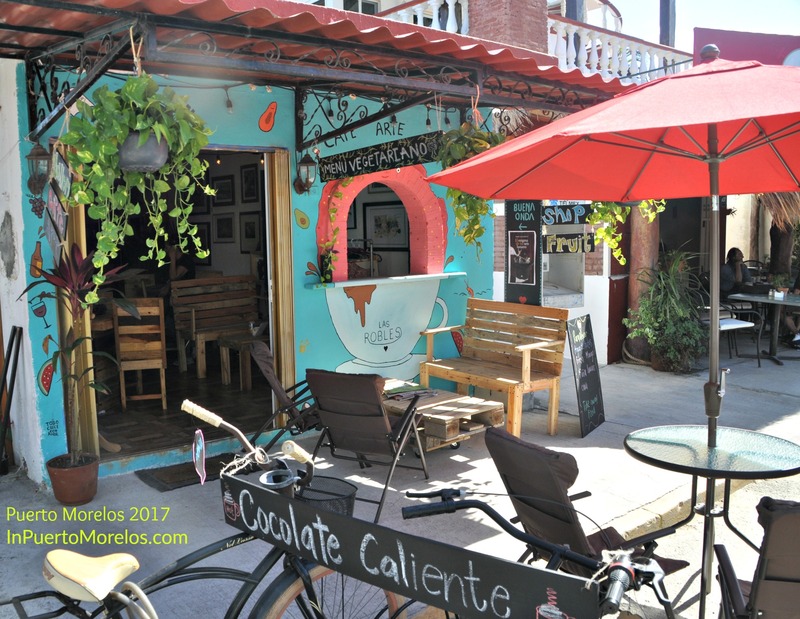 Check out our rentals at Casa de los Viajeros. 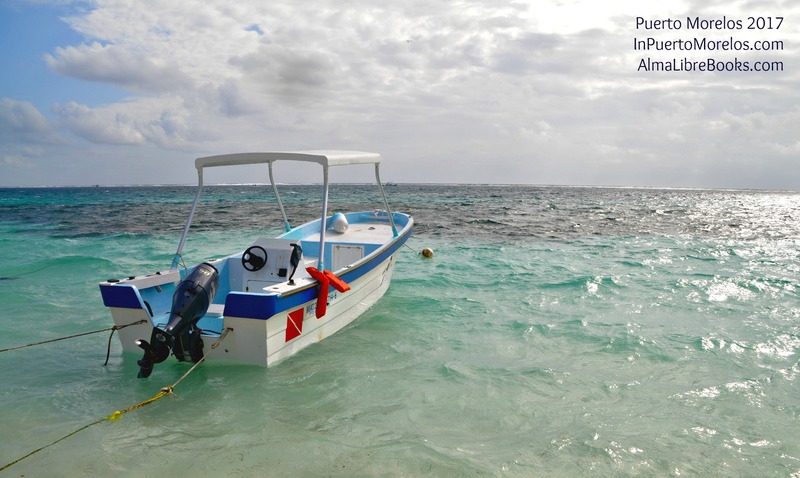 The season is underway in Puerto Morelos! We had a busy Christmas season with lots of visitors from all over, including a lot of visitors from Mexico City. This past weekend, the town celebrated one year of governing itself with a big, big party in the square. Of course, some new restaurants have opened or will open very soon. Here’s a rundown of the most recent. 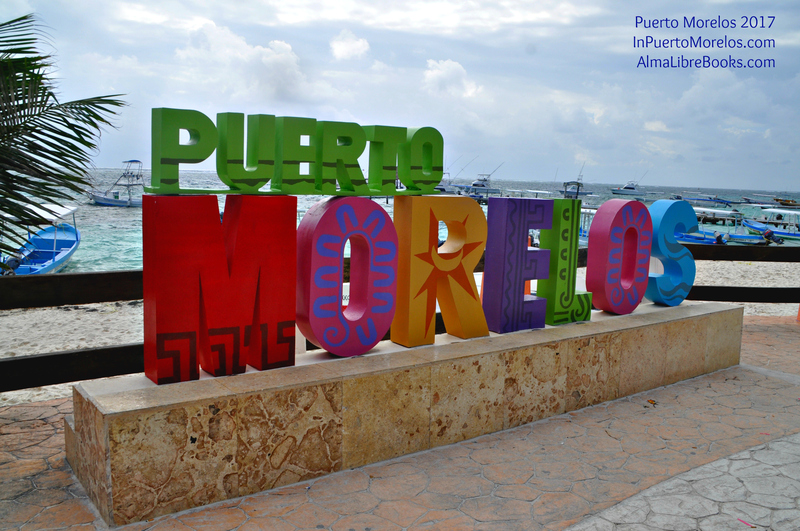 The most unusual is a new concept for Puerto Morelos, anchored by a familiar business. 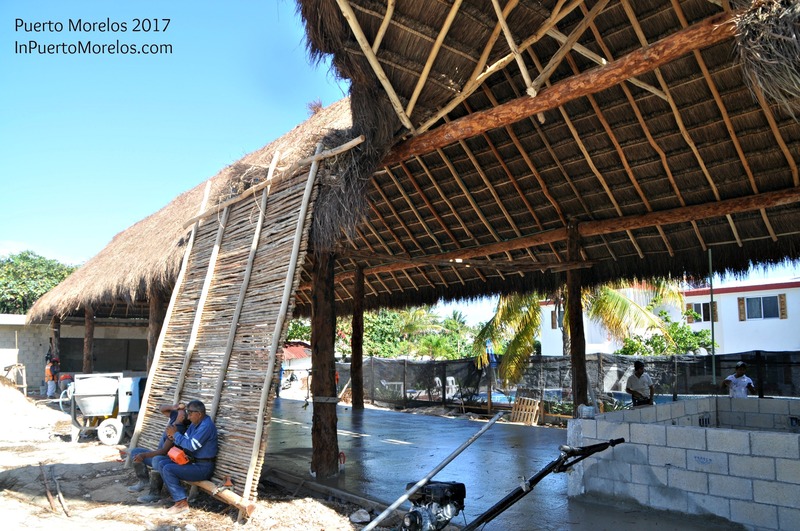 The area beside the pool at Dos Naciones hotel (formerly Villas Latinas) has been totally covered by an enormous palapa. At one end will be the new permanent home of Salciccium. 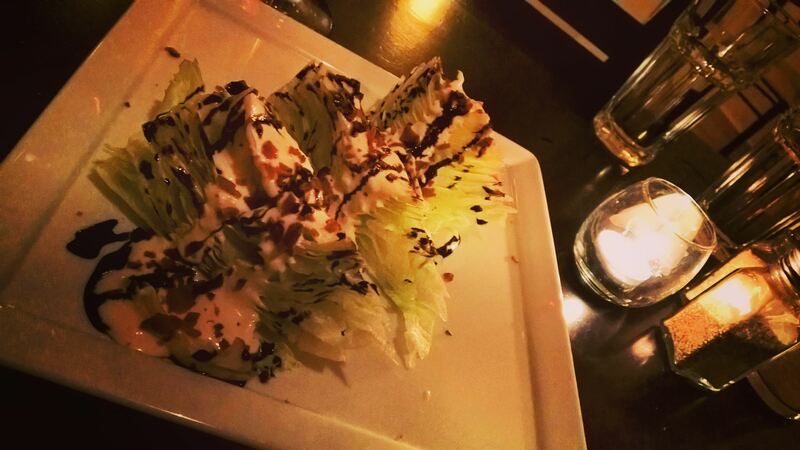 The owners of this place had a restaurant here a few years ago in two locations at different times called Salciccia. They sold locally made sausage and sandwiches are were quite popular. The rest of the area will feature different food trucks selling all kinds of food. The owners call it a Food Truck Village. There will be seating for 120 people! They promise a larger menu than they had before and hope to be open in a month. A small juice place has opened on Ninos Heroes very close to the OXXO. 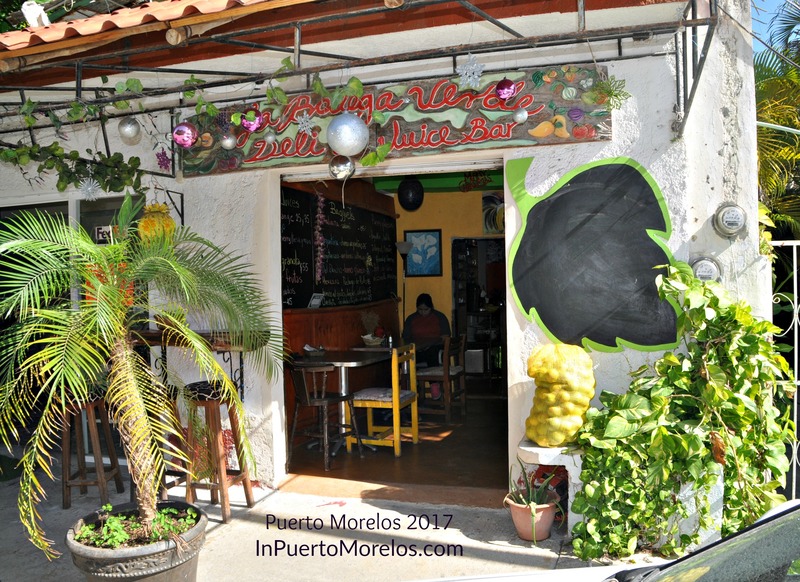 It’s called Bodega Verde (the green bodega) and has juice, yogurt, fruit and sandwiches. Not a new place, but Fonda Americana is open again (as we announced before). 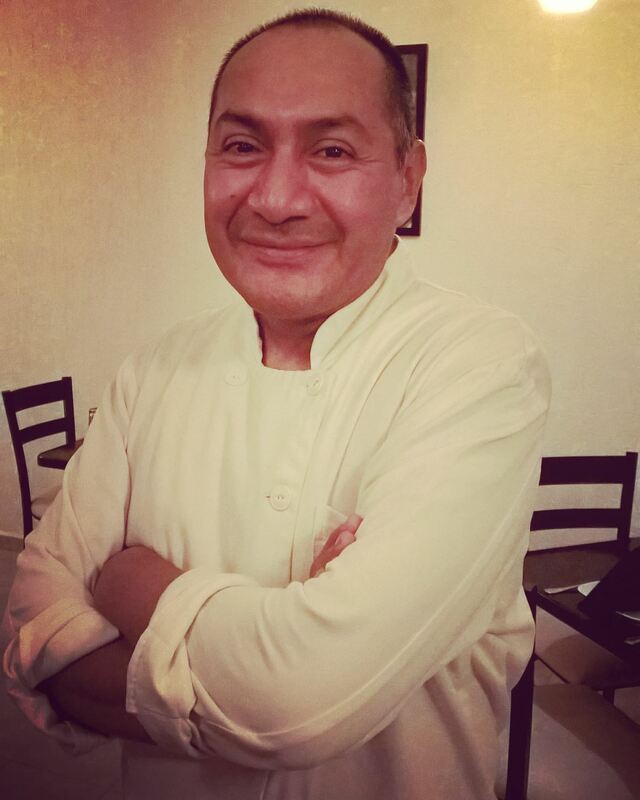 Now Chef Roberto has told us he is extending his hours! Starting on Monday, January 16, his restaurant will open at 11:30 to 5:00 and then 6:00 to 11:00 every day. He will have a different menu for lunch. We were just happy to have him back again, and now it will be easier to get our Fonda fix earlier in the day. 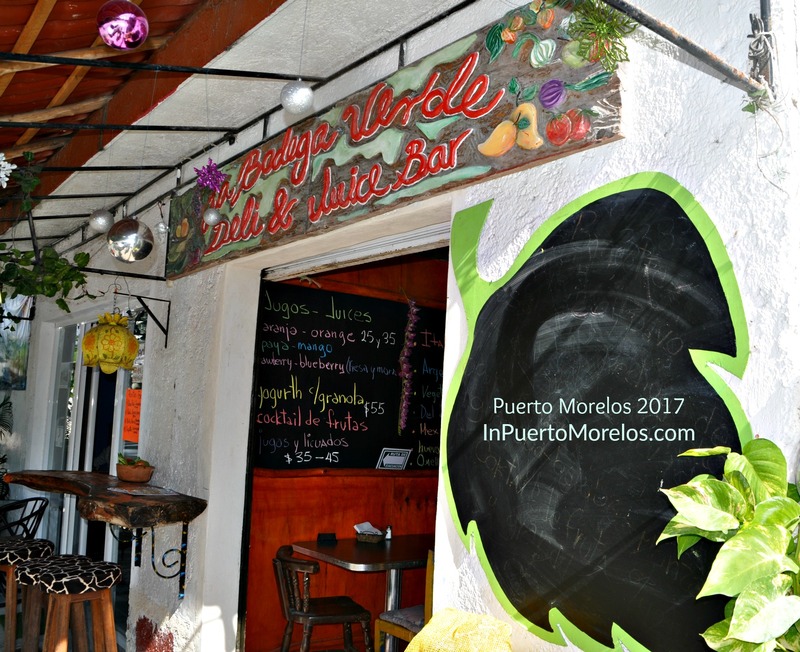 Whatever you do in Puerto Morelos, you will not go hungry! 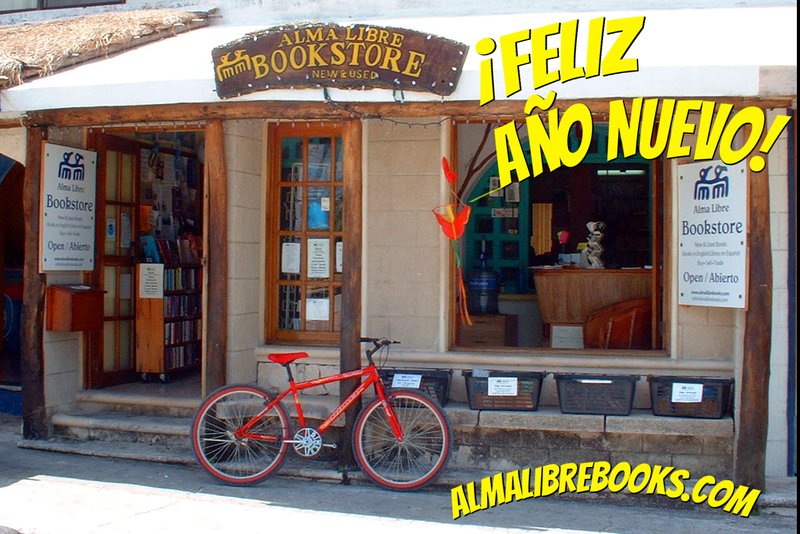 A reminder that Alma Libre Books and Gifts is now open every day from 10-6. 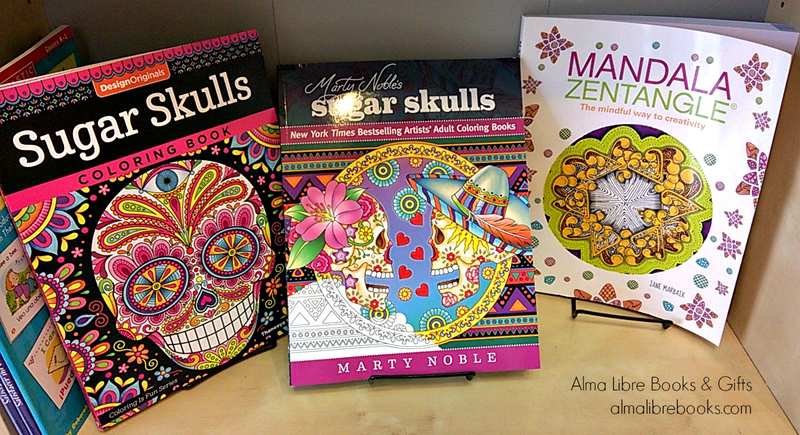 We have a huge variety of second hand books, plus new volumes of local interest, local items for your kitchen and local and regional art. 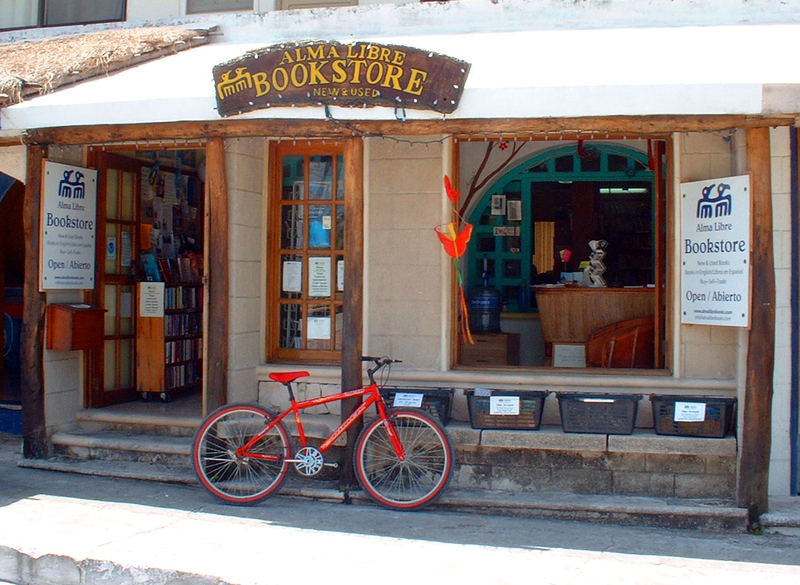 Be sure to visit us when you visit Puerto Morelos!